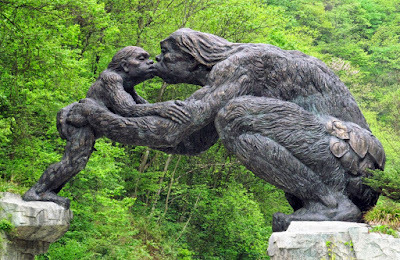 The Chinese version of bigfoot, the yeren. Why is it that big hairy monsters in the woods seem to be ingrained in our collective human psyche? In the field of cryptozoology, one of our main frames of reference to the existence of an unknown animal is to decide how many accounts of this creature there are, and how far back in history these accounts span. 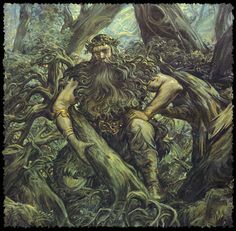 And after years of study and research about bigfoot, we know that the legend of bigfoot or sasquatch can be traced back to a European cousin known as the woodwose. And if we keep checking historical record and inscriptions on some very old historic architecture and drawings, we can take it back even further. It seems there are many faces of this creature. 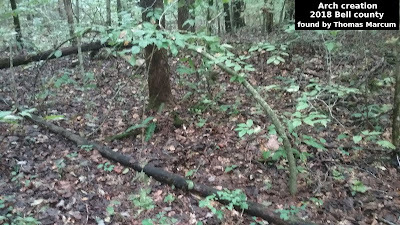 And as more reports come in, we realize that out our hairy friend in the forest is probably very diverse in it’s appearance. And this varies a lot by local region and area of the world. 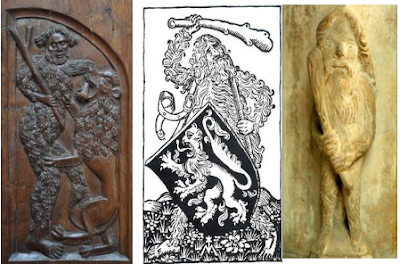 Some accounts tell of something almost human in appearance, while others seem more ape-like...and there are a thousand other variations thereof. 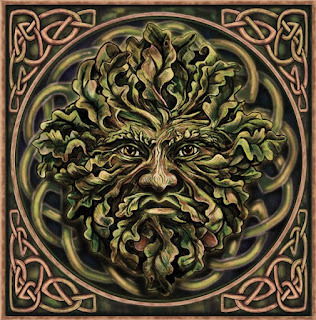 But the woodwose, wild man, bigfoot, or sasquatch has lived, at the very least, in human consciousness for a very long time. 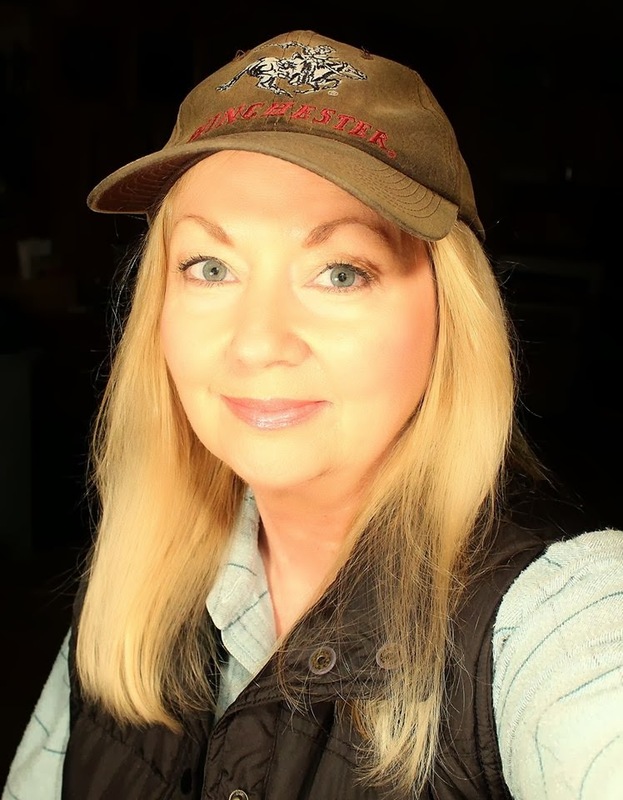 In nearly every corner of the world there are historical accounts and descriptions that lead us to believe that there were many thoughts and conversations about these creatures that took place long before modern sightings. And there is something to be said for human consciousness. People who gave these accounts historically had nothing to gain by telling others these stories, but they did it anyway. Why? 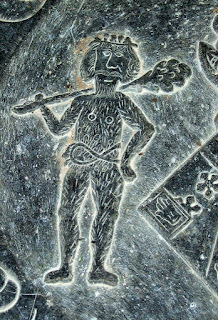 Was it more acceptable in those cultures? 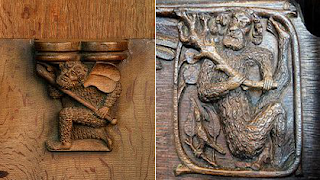 Why were these creatures added to so much art and architecture if there wasn’t something really significant about them? Were the artists just copying other things they’d seen before, or has the woodwose always been with us...no matter where we go in the world? 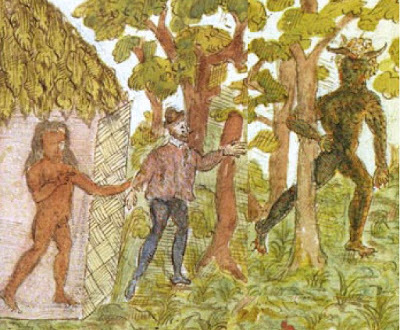 We were always handed stories about “monsters” in the woods. What if the monsters weren’t always necessarily “monsters” per se, but what if they were real and the stories were based on something that had been seen by enough individuals to warrant some significance. Cross-legged woodwose with shield at Hales St. Mary’s Church in Suffolk, England. 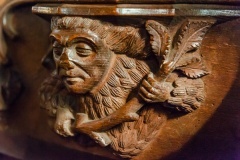 Choir stall misericord from St. Mary of Charity Church, Faversham, Kent, England. 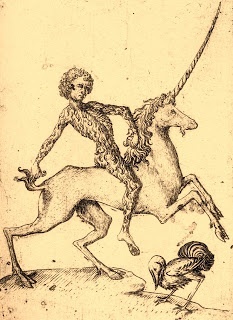 Hairy man riding a unicorn, said to be from an Eastern European Ancient Tarot Deck. 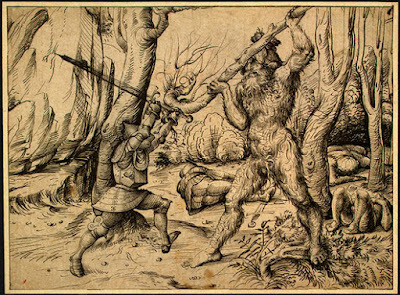 The Fight In The Forest, by Hans Burgkmair, believed to possibly be a depiction of the the German poem Sigenot about Dietrich Von Bern. 19th Century depiction of Grendel of the great tale, Beowulf. 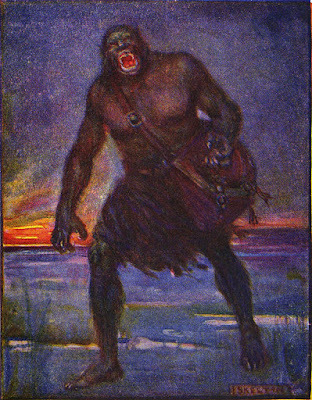 Grendel may have been a woodwose or bigfoot type of creature. 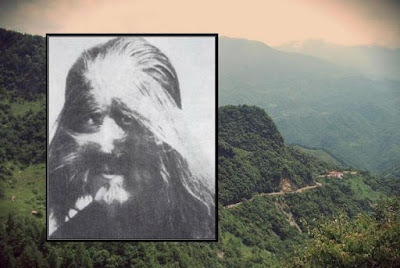 Old photo believed to be of the Chinese wildman or yeren. Athoua, the “evil spirit” that haunted the sleep of the Caribbean natives around 1590. 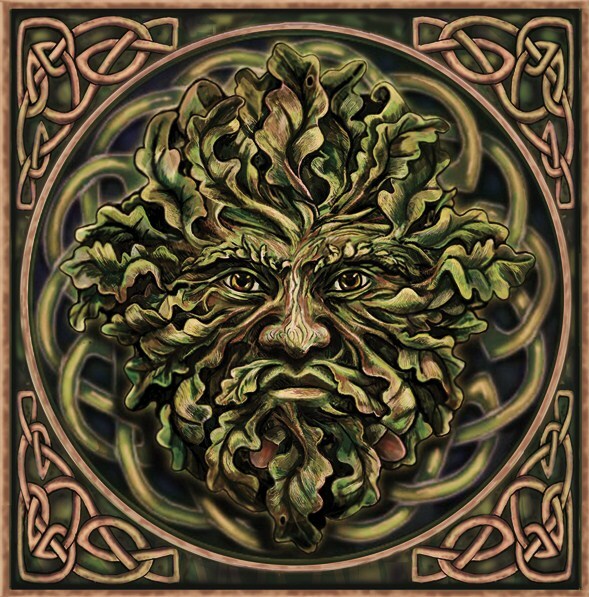 The Lesovic is a woodland spirit of Slavic mythology that is said to protect the animals and the forest. If you set a goal you can find a lot of stories about this creature all over the world since the Middle Ages. In each culture, there is its own name for this phenomenon, but they are all descriptions of the same thing. The stories related to Bigfoot are full of mysteries and mysteries, so they remain popular for such a long time. I'm interested to know how many different versions are created and distributed on this topic, since in each country there are incredibly many of them.